The November 2010 digital edition of Shooting Sports USA has been released, and it’s definitely worth reading. The lead story explains the correct positions for 3-P smallbore and air rifle shooting. This is a well-organized, easy-to-understand article, packed with large photos from start to finish. If you are a three-position shooter (or want to be), you should definitely read this article. In addition to the position shooting story, the current edition of Shooting Sports USA has an excellent article by Jock Elliot on Metallic Silhouette shooting. 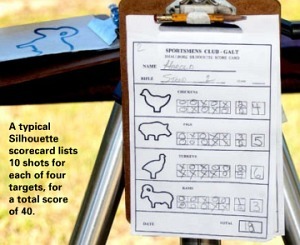 Elliot covers the evolution of the sport from its origins in Mexico, to today’s popular rimfire and centerfire silhouette programs that attract thousands of shooters throughout the USA. Elliot explains the silhouette courses of fire and interviews top silhouette shooters including 11-year-old Mallory Nichols, the youngest master in the history of silhouette shooting. In addition to the November issue, you can read previous editions of Shooting Sports USA. Click on the “Archives” tab at the bottom of the page, after you’ve launched the November issue in your browser. 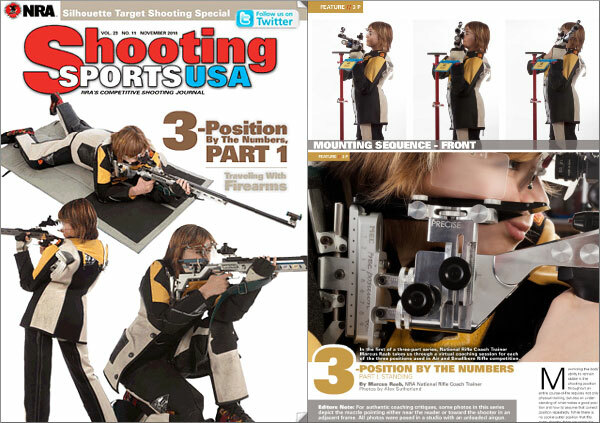 Visit ShootingSportsUSA.com to request a free Digital Edition of Shooting Sports USA each month. Share the post "November Issue of Shooting Sports USA is Available"